On May 1st, the leaders from the diverse mix of companies at The Navy Yard gathered to network and hear about ongoing development projects and exciting accomplishments at The Navy Yard for the 8th Annual Executives’ Breakfast. 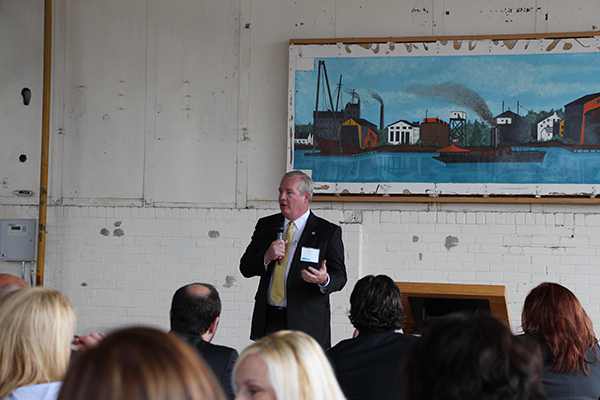 John Grady, President of PIDC, and Will Agate, Senior Vice President at PIDC, Navy Yard Management and Development, announced that 22 organizations made the decision to locate and grow their business at The Navy Yard in 2013, the highest number in a single year since the redevelopment of the campus. This brings the total count of companies to over 143 with more than 11,000 employees! 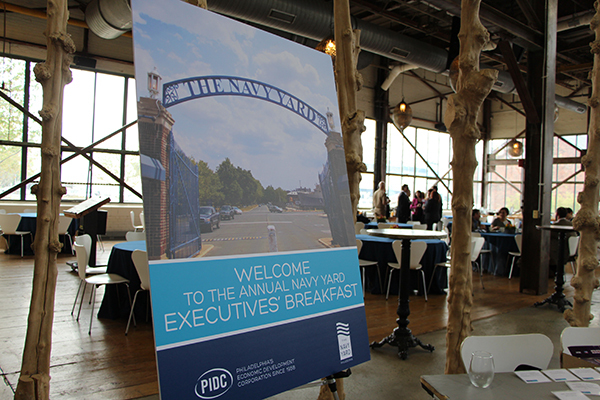 Welcome to the 8th annual Navy Yard Executives’ Breakfast! Other highlights include the six current construction projects, totaling more than 310,000 square feet and over $120 million of investment (read more about it here), and the addition of lots of new amenities over the past year, including adding a fourth Navy Yard shuttle, Courtyard by Marriott hotel, Nava Yoga Studio, the completion of two new parks – the Riverfront Greenway path along the Delaware River and League Island Park at 12th & Constitution, and the start of site work for the Central Green park. All The Navy Yard’s tenants and its employees have been critical to shaping The Navy Yard campus into an innovative, collaborative, and exciting place where people want to work and visit. PIDC is so thankful to our tenants, partners, Mayor Nutter, and City government who have helped us create this amazing success story and to the future successes to come! 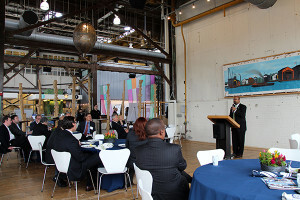 View more photos from the event here on The Navy Yard’s Facebook page. 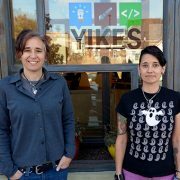 Repost from The Yard Blog.